Should be a 50-H rule !!! Nah, 1.000.000-H would be much better.. Sorry greenies, peak wind will come way before peak oil, and the entirely natural and sustainable processes of rusting and metal fatigue will soon remove the eyesores from the landscape. They should add a maximum height rule of 2m. Windenergy produces only a very small amount of the totale energy consumtion. There is no energy if there is no wind, storage of energy is very costly, so are windturbines. Moreover there are a lot of disadvantages, the giant windmills are not accepten by inhabitants. The best solution for the future is clean, safe, CO2-zero, sustainable Thorium MSR energy. That, and the long lived highly radioactive byproducts seriously complicate the issue. And? Energy density is energy density. The key advantage of a Molten Salt Thorium reactor as invented by Weinberg who ALSO invented the LWR but recommended the former for civilian use is that there is no high pressure steam that can escape explosively. Ooooh, someone could build a Dirty Bomb! Well that would actually be so useless that no military of the world has ever deployed one. Proliferation = a nation different from the US could do what the US does for 70 years now. SCARY! But accessing it safely, easily and efficiently differs from material to material. Hydrogen fusion comes to mind. A few more gazillion box tops and I’ll be able to send to Battle Creek, MI for one of these. See also here on why Thorium isn’t the miracle substance it’s being sold as. We may get it to work, as India seems almost ready to do. But since they have been “on the verge” of starting that reactor for almost a half a decade, I find it prudent to await an evaluation of it’s performance prior to celebrating. Windenergy produces only a very small amount of the total energy consumtion. There is no energy if there is no wind, storage of energy is very costly, so are windturbines. Moreover there are a lot of disadvantages, the giant windmills are not accepted by inhabitants. This claim is just plain out wrong. 13.3% wind, 14.1% nuclear as part of electricity. Renewables provided over 30% of electricity in Germany last year. Renewables are mainstream by now. “Moreover there are a lot of disadvantages, the giant windmills are not accepted by inhabitants. So you think inhabitants dislike wind plants but will love Thorium? Really? Learn how to read first. Klaas Martens talks about “total energy consumption”. In this diagram the ammount of windenergy is so small, the IEA puts it together with solar and tidal. nuclear also becomes a “small” source, if you look at total energy consumption. But for some weird reason, he thinks that Thorium is great, but wind is not. His argument does not make any sense. PS: your chart is from 2013. Nice trick. The installed capacity was nearly doubled between 2013 and 2015. “13.3% wind, 14.1% nuclear as part of electricity. Sod’s innumeracy again. First of all, hydropower is half of it, it is not subsidized and a hundred years old. Doesn’t stop the subsidy thieves from including it in their number. Second, sod as usual talks only about electricity which is ONE SEVENTH of our energy consumption. So obviously this ain’t gonna do anything about the dreaded WARMING. So why do you keep on harping about that seventh of a seventh, the 2%? Bought with 2% of GDP in subsidies? Solar+Wind in Germany are all fraud, and no use. Subsidy pumps they are, not energy infrastructure. How about a “sorry, i was wrong”, for once? I gave you the link. Hydro is 3% of those 30% renewables. And hydro would be in decline, if the “greens” were not pushing hard to expand it. Well it’s 153 to 20 TWh. so 20/173 total renewables; That’s 11% in my book, not 3%. Ok the 50% is obsolete I grant you that. Well that is quite a bold tale. Greens say that hydropower storage lakes emit Methane which warms the planet 21times more than CO2! Per molecule! Greens/progressives are behind dam removal in the USA for this reason. And that’s the reason California does not count Hydropower as renewable in their electricity renewables quota mandate. Otherwise they could simply fill the quota by buying Washington hydro electricity. The Greens in Germany push only for one form of hydropower: Inefficient small fish mincer turbines. Because there’s subsidies to be stolen. And WHY would the very successful big hydropower dams be “in decline”? I never heard THAT one. A sudden lack of interest by operators in producing 20 TWh of electricity a year? Pray tell. Where did you get THAT one? I’ve NEVER heard ANY German Green say one positive word about hydropower dams. But then again I mostly hear them talk about Marihuana and Methamphetamine and the many uses of small children anyway so maybe I missed it. Vendre un canard à moitié? Selling half a duck again? If I didn’t trust Pierre’s honesty I’d think he impersonates a stereotypical sod puppet to bring up every green canard in existence for general amusement. Hydro had some sort of “peak” around 2000 and is in decline since then in Germany. Now it is revived by green power companies which are forced to invest in new green sources and also invest in hydro. The new hydro is mostly really green hydro, by the way, small dams and fish stairs to move around the power plant. I saw something about that about a month ago. they plan a lot of dams (at least 6 more), and aren’t concerned about what effects that has on their neighbors. How much of the renwable part is from biofuels? And don’t forget hydro-electric power. Wind and sun is about 15%, IMO. 13.3% wind. 7.7% Biomass. 5.9% solar, 3% hydro. so very close to 20% wind and solar, and with the average growth per year we might actually see above 20% in 2016. Why do Greens hate nature so much? Is it because they can’t control it? Well they got their 13% of the vote, are entrenched, and have for years only spoken about the rights of people of rare genders and of a certain Middle Eastern religion. Nature is none of their concern; except in an election campaign where it might come in handy. There are conservatives with a real concern for the environment. But why are a lot of the rest of them pretending to care about nature in their fight against wind power? That’s projection, sod. Nobody gave you a reason to assume we’re pretending anything. You’re projecting. YOU are the pretender. Proof that they are pretending? Links? People who do not care about a brown coal mine but complain about a wind mill are obviously hypocrite. But let us do things the other way round. Can you give me any link about your support for birds against other kind of industies? Wind power is the ONLY industry that invades Nature reserves. Other industries are not allowed to, sod. You should know that. That’s why it was called a Nature reserve before the Greens decided that the term means nothing. You say the Greens do not hate nature? They fooled us again? The greens hate nature so much that they destroy it to save the climate. This is just utter garbage. The thing that was doing real damage to the environment, was burning fossile fuels like coal. The greens saved the environment, by enforcing rules and scrubbers, for example for coal plants. They did this, against strong opposition of the people who pretend here, that they care about birds (basically only about those killed by wind mills). Go easy on him, C.W., the deep end of the wading pool can be pretty terrifying to a toddler. Now you suddenly know what a flue gas scrubber is? After I told you twenty times? And BTW, that was under Helmut Kohl, CDU. Around 1995. To be precise, that’s when the last coal power plants got them, the old lignite plants in East Germany. Western plants already had them for a long time. I know what a scrubber is. But they do not fix every problem. And they were introduced by green pressure, against the resistance of conservatives! In the year 2000, “green” Germany basically was the only country which had near 100% scrubbers on coal plants. In Germany (remember, the world centre of green ideas! ), deployment started in 1974 (new hard coal) and had to be refitted to existing plants from 1984 on. The title story of that Spiegel (by pure chance, by the way) shows how much pressure was on chancellor Kohl, also because of weak environmental standards in the european union. Kohl was not pushing green ideas, green ideas were pushing Kohl! Environmental organisations like the green party and robin wood were pushing Kohl to add scrubbers. But why stop at wind power? How big will the 10-H rule be for steam engines (which is all that will be left when you and yours finish with us)? This newfangled 10-H rule is not supported by Marxist theory and history but in the most socially advanced societies the rule for iron furnaces and steelworks built by the people from ecologically-sourced natural materials has been firmly established not to exceed 2.5 m (ca. 8 ft) in height. They are to be situated as close as possible to villages, communes and labor camps so workers don’t waste time walking idly to and from their assigned workplaces. 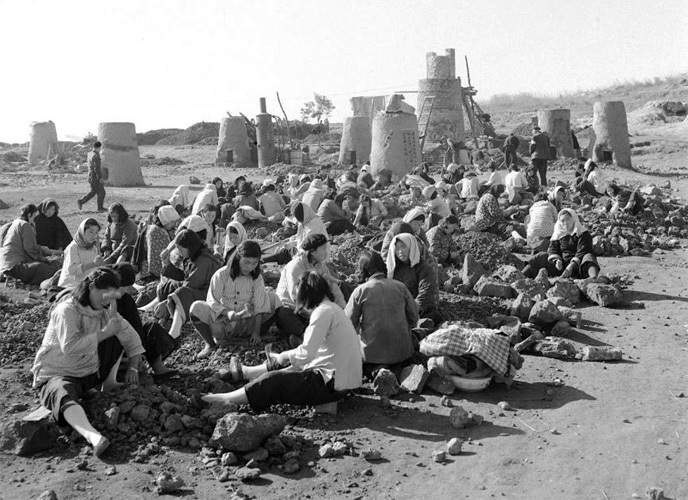 In the most advanced phase the villages are abandoned and replaced by barracks within the plant which provides even more time for labor and further increases productivity. The same rules apply to power plants. Taller structures have been built during times of revisionist turmoil but these things will naturally be reversed and the perpetrators punished when ideological clarity prevails again as is historically inevitable. Steam engines run on coal so they’re right out. Sod’s goal is to live in a wooden shack in the forest without metal objects. Because he does not tolerate any mining. Why do you pretend you care about nature, when you support activities that cause so much destruction? Wind farms kill vastly more birds than oil, yet ONLY oil companies are prosecuted. Wind power destroys the environment. “Wind farms kill vastly more birds than oil, yet ONLY oil companies are prosecuted. Your claim is a lie. Can’t find an update on troubles with Bard 1. Any recent information? Many greenies are also townies and they don’t want waste incinerators, power plants, fracking etc, close to where they live, so out of sight, (for them), out of mind. NGO’s get good coverage in towns because of more people and thus more subscriptions when any intensive facility to supply their needs is proposed. I was asked to provide evidence of conservatives only pretending to care for birds. This site did an analysis of coverage for bird killings in extremely conservative media. Coverage is basically 100% only for birds killed by wind plants. So, the sun shone for 24 hours one day in the UK? Fascinating! They must tell the world how they did it. But seriously, if the plug is pulled on massive subsidies, they just can not compete. BTW, sod, where does it show how much solar is being generated? Nothing is measured, so we really don’t know how much of what the fairy dust snorting estimators calculated actually made it to the grid. No. the comparison is between averages. Electricity output in MWh seems to be an extensive variable. So you can compute averages. Or is it not? you do understand, that grid stability on every single day depends on this “fairy dust snorting” estimates? So it would depend on how the circuitry is connected. And that’s as far as I want to go with that. But it’s sufficient to know that, no, it is unfortunately not as simple a matter as we might wish. That is simply false. Your link is talking about voltage, not about MWh. Your own link lists Joule as an extensive property. How often will i have to show you, that you are wrtong before you start admitting it? When voltage is in parallel it is considered intensive, and when in series extensive. When voltage is intensive, current is extensive. When voltage is extensive, current is considered intensive. I apologize for mistakenly believing you were able to read and comprehend basic concepts. I keep trying to give you the benefit of the doubt, and you keep proving what a waste of time that is. You really are as dumb as they say. But MWh basically is another word for Joule. Everything that you brought up here has utterly no meaning. I don’t suppose that would have anything to do with renewables having priority access to the grid? Or that the grid have to pay them whether their output is needed or not? Why wouldn’t you give renewables priority on the grid?? Because they show up for work only for a small fraction of the time, being subject to the whims of weather. Do they? Let’s see your data on wind power + solar power over the course of a year. What do you do when coal plants are taken down for maintenance (and air pollution declines for awhile….)? No modern coal fired power station creates any more than a tiny amount of pollution. It is very hard to follow this blog without the option of being emailed new comments. Am I really supposed to keep all these links open and keep refreshing them? In 2016?? Nobody give stuff what you do.. its all meaningless and irrelevant. You are nothing but a mosquito like annoyance… a yapping Chihuahua. You don’t anyway, Appell. Your preferred method is drive-by sniping. It is forbidden to operate a volcano without proper protection of the environment – until scrubbers are attached, all volcano activity is forbidden. If you feel offended by a volcano eruption, you are free to sue. Class action suit of Europe against Iceland? The most interesting news in the alternative power sector is the death of coal. When Greenpeace offerer minus two Billion Euro for the Vattenfall coal business some month ago, people thought it was not a serious offer. Now the coal business was sold, basically for minus two billion euro. And that is in addition to about 3.4 Billion in equipment, which Greenpeace would have scrapped while the new owners might want to keep it. Hmm. The death of coal. The Swedes finally submitted to Angela Merkel’s excellent green energy scheme and sold the business to the Czechs. The coal mining and electricity generation died, says sod. Who would disagree? It’s dead, Jim. And it will die again and be dead in 2017, 2018, 2019, and every year thereafter as the Germans in Lausitz keep mining and burning the coal, and powering the grid. But they’ll be working for the Czechs instead of the Swedes. And the planet will be saved. Seriously.